This pattern makes 3 cute 10" wall hangings. Pattern by Leonie Bateman. 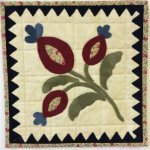 The pattern is wool applique on a cotton background. 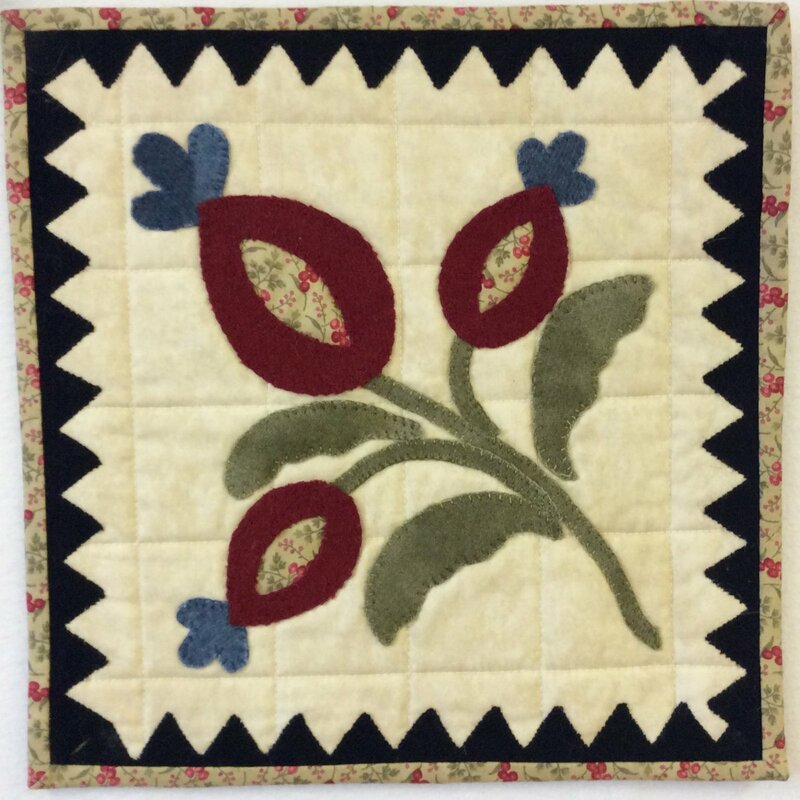 There is a kit for the wall hanging with the red flower.